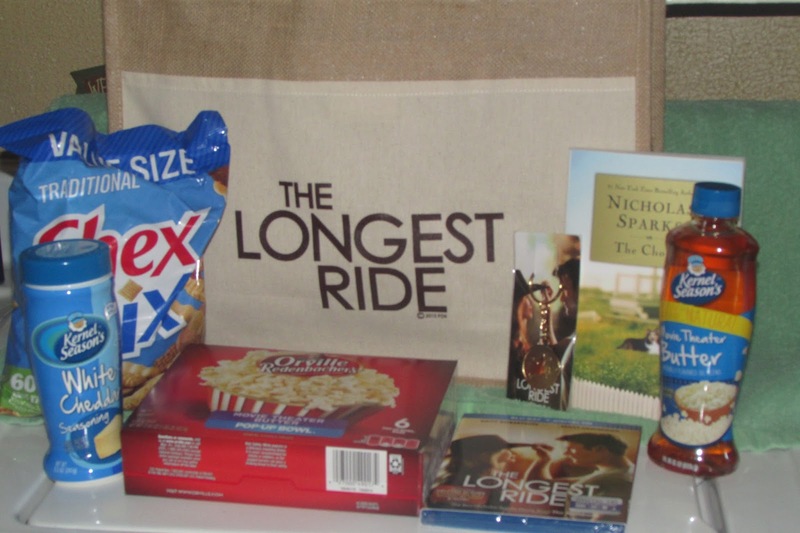 Although there were a few interruptions, Jason and I cuddled up on the couch to watch The Longest Ride on Blu-ray. 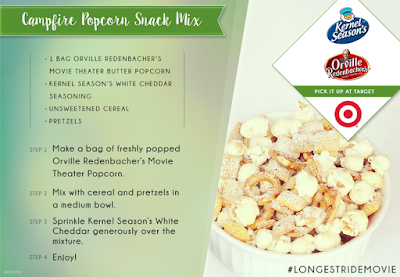 While we watched the movie, we snacked on Chex Mix and Orville Redenbacher popcorn. It's not often that I'll pick out a romance movie. I'm more into the action and adventure genre. Although the action and adventure wasn't of high caliber in The Longest Ride, I'm glad I watched it with my husband. The story tells of a studious college girl who meets a champion bull rider and they have an instant connection. After some contemplation, Sophia meets up with Luke for a date. She is struck, both by his looks and his gentlemanly ways. He seems to fall hard and fast for her too until he learns she will be moving in a couple of months. On the way back from their date, Luke and Sophia come upon a burning car and save an elderly man from the wreckage. Sophia also pulls a box of letters and memorabilia from the car. During hospital and rehab visits with the elderly male, she reads the letters aloud. They spark the man's memory and the story of how he met his wife and wooed her is told. The storyline goes back and forth between Luke and Sophia's relationship and the relationship that Ira had with his wife. As time goes on, Luke and Sophia realize they have quite a lot in common with the other couple. 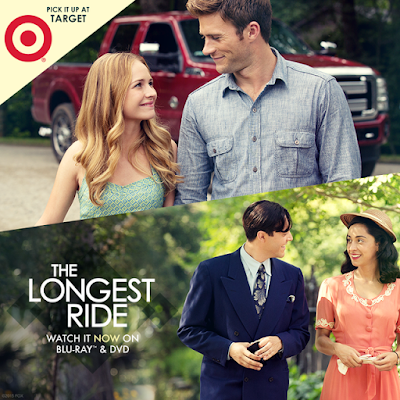 The Longest Ride is strong in storyline and interesting in plot. It shows that love can endure through tough times and tribulation. Although I wouldn't normally watch this genre, I have to say that my husband and I really enjoyed The Longest Ride. If you're a romantic hopeful, I think you'll find this movie to be gratifying. 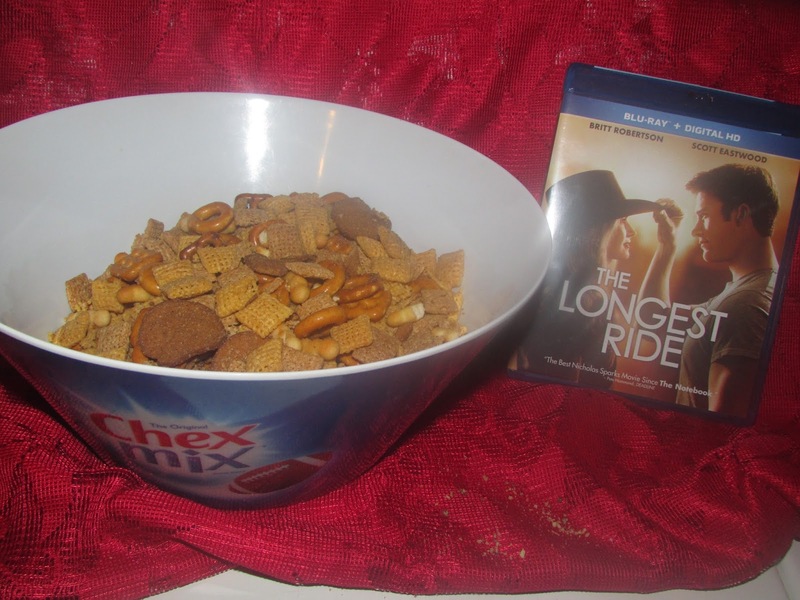 Chex Mix and Orville Redenbacher popcorn was the perfect snack for our date night. We garnished the popcorn with Kernel Seasonings movie theater butter and white cheddar seasoning. Yum, yum! All of the items that I received are available at Target, and are accompanied by Target Cartwheel offers. Consumers receive special savings through this app! Visit the Target Cartwheel app and look for additional savings on all of these great items. I love the book and got teary eyed during the trailer. I need to see this movie soon!